Let’s continue my efforts to look on the bright side, shall we? 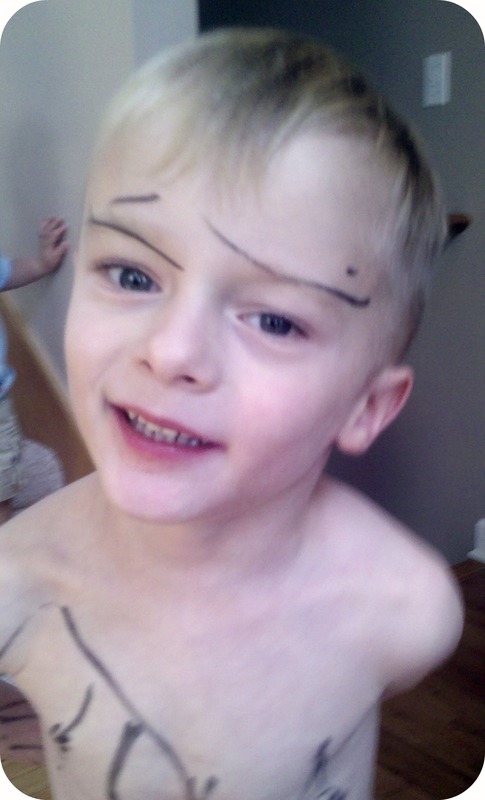 Recently, my son found his way to the only permanent marker yet to be banished from our home. Upon finding said marker, he feverishly decorated my kitchen and himself. After weeks of tweeting, googling and testing products, I have ultimately gotten the marker out of everything. 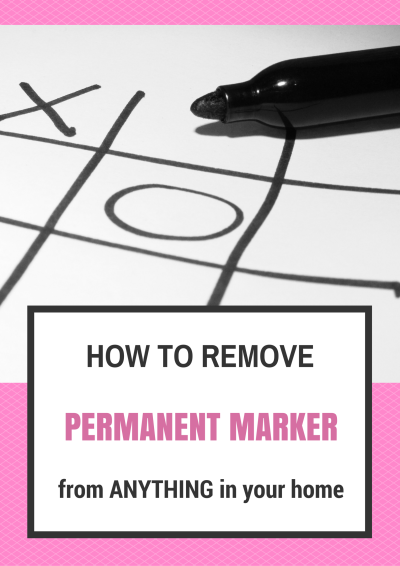 AND due to his efforts, I now have a nice little (and pin-able) list of how to get permanent marker out of pretty much anything in your home. 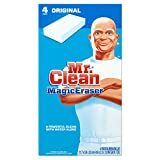 From painted walls: toothpaste or hairspray (hairspray works best but will begin to remove paint if you have to scrub hard) or my best friend, Mr. Clean and his Magic Eraser. From a wood floor: took lots of work but I used rubbing alcohol to take out most of it, then tea tree oil took out more, then toothpaste got the last of it out. Here’s the tea tree oil I like best. It’s gentle enough to use on skin but also works great on household surfaces. From a 3 year-old: tea tree oil worked instantly and is non-toxic so I was able to use it to remove the marker on his face (he drew “tiger eyebrows” of course). Now for How to remove the urge to draw all over your Mom’s kitchen with a permanent marker from your child? I’ll have to let you know when I find the answer to that one. What’s your best stain removal tip? This post may contain affiliate links. Thanks for clicking on them and helping me keep this site running! I do consider all the ideas you have presented on your post. They are really convincing and can certainly work. Still, the posts are too brief for newbies. May just you please lengthen them a bit from subsequent time? Thanks for the post. UK supplier of wrought iron garden gates & Automated Gates. Of all things, who would have thought a baby wipe would take off permanent marker!! My daughter marked all over her sisters face and my husband grabbed a baby wipe, worked like magic! I hope you or one of your readers can help me. My daughter was drawing with Sharpies, but some of her drawings ended up outside the paper and on the tablecloth. This is a printed green synthetic fabric tablecloth (maybe acrylic or something like that), and it has some permanent stains on it. I’ve tried all the tips: alcohol, but I only have 70% alcohol, maybe I should buy a 90% one?. Also, WD-40, hairspray, hand sanitizer and nothing has worked. The alcohol worked at the beginning when the stain was still fresh, but then nothing else came out and the stain is really visible. Do I have to apply one of the solutions and wash the tablecloth immediately, and then see if it comes out, or the stain is supposed to come out almost completely before the wash? Removing marker from stuffed animal tags (ie; compliments of Goodwill’s tacky pricing method) W/O compromising the tag or letter…making it appear as though the marker never happened as much as possible. I think the person who can achieve that deserves a medal of Internet honor, wouldn’t you agree? I will create a badge, trophy and or framed certificate, maybe a special dedication page~who knows! I’m going do some-thing amazing for whoever can achieve this~that’s for sure! It is appropriate time to make a few plans for the longer term and it is time to be happy. I’ve read this publish and if I may just I desire to recommend you some fascinating issues or tips. Thanks so much! There was Sharpie dots all over the back of one of my CD’s from decorating the sleeve! I took a little Germ-X to it and it came right off! I was a little skeptical. but the sanitizer actually worked. probably have to do to it one more to get it off totally but. you can barely see it. Rubbing alcohol (90%) worked wonders on our apt bathroom door!! It took some paint off but it’s a white door and you can’t tell. Thanks for the info everyone!! THANK YOU!!! Hand sanitizer did the trick on my couch. For butter or oil stains, sprinkle the area with baby powder. Wait overnight (or longer) and wash normally. Repeat if necessary. For berry stains, pour boiling (not just hot) water slowly over the item. Right from an early age i have always let my kids use numerous art materials including permanent markers in a supervised free art play… lots of paper cardboard wood and fabric to draw on. while drawing with them we always talked about where it was ok to draw and where it wasnt. constant reinforcement of this fact and when the found a marker / crayon/ pen etc and wanted to draw.. the answer would always be “yes… lets get the paper out and draw on that” … works even when they are not talking… just see their interest in the pen, provide paper and encourage them to draw on that. My kids are now 4 and older but have complete free access to art materials now, as they know they can use these for their creative outlet whenever the desire arises. we have jars of permanent pens, paints, glue, pens, pencils and lots and lots of paper. They know what they can use and where. Wish I knew this after I painted my condo and used almsot all the paint. Then the marker came. U used the VERY last worked hard to get teh last drops out to repaint. Yikes the next day was a hammer to teh wall. Had to buy new paint. So glad I found this on Pinterest! My sister’s 4 year old just took one to their van – the seats, doors, everything! Going to call her right now! Oh no! Good luck to her! I just tried your tip for walls. I used hairspray and it worked right away. It does begin to take off the top layer of paint if scrubbed hard (just like you said) but it still looks a lot better than the nice little artwork my little one left behind. My aha moment was when my 3 year old Autistic grandson decided to color my barstool’s cloth seat with a purple crayon! He didn’t just “color” it, he scrubbed that crayon into the fabric with every bit of strength he could muster & anyone who has an Autistic child in their family, knows just how intense that can be! Needless to say, I thought it was a lost cause until I came across a suggestion I found online. I laid a brown paper bag over the fabric, then topped that with a towel & used a medium heat iron on it. This warmed the wax & the paper sack wicked it up & out of the fabric. I repeatedly changed out the paper, to maximize the process. When the majority of it was out, I scrubbed the fabric with Dawn dish soap & warm water. To this day, I cannot tell which chair he colored on! I’m having trouble removing names wrote in permanent marker from kinder mats. They are kinda like vinyl but just won’t let the marker go. Any advise? My granddaughter used a permanent marker on a baby doll and we still haven’t found anything to get it out. We tried just about everything we could think of. If anyone knows of something please let me know. Did you try hand sanitizer? Thanks so much! My 2 year old and 1 yearold are now starting to team up on finding markers and coloring all over my stuff when daddy is on duty! LOL! Does anyone know how to get black pen ink off of a leather couch???? My two puppies got on my husband’s night stand and got hold of the permanent black marker and it got on our light colored tan carpet in two places. I already tried the vinegar and it didn’t work. Any other suggestions for carpet? Thank you so much. Has anyone found a solution to get permanent sharpie marker off a leather sofa. It does fade over time but I have tried EVERYTHING AND I MEAN EVERYTHING to get it off my sofa. I have googled every website and solution. Has anyone had this happen to them? I love this topic. Recently, my youngest used a permanent marker and scribbled all over my dad’s light hardwood. The only way I was able to remove it (all of it) was with a soft pad and Murphy’s Oil Soap. Oh my gosh, I bet that took a ton of work. I suggest that you may use borax to effectively get rid of those mark over your wall and rest assured that the solution is totally safe and won’t inflict any harm. All you have to do is spray over the solution and rub it with a piece of cloth. I have permanent marker on my vinyl table. I have tried alcohol, vinegar, baking soda, Mr. Eraser and hydro peroxide and nothing has worked, do you have any tips on how to remove it? Oh maybe I should use Tea Tree Oil. I would try tea tree oil or hand sanitizer. Some people recommend writing over it with a wipe-off marker and then wiping them both off. Good luck! Oh no! Good luck getting all of it out. OMG, I was laughing so hard when I saw your son with all the marker on his face and body! My granddaughter did the exact same thing a few years ago. Some day we will laugh about this! I use nail polish remover on skin. Fastest thing to get permenant marker out. I havent tried it on anything else just yet. Also if you have polish on your nails WEAR GLOVES! Now to figure out how to clean off lipstick! here’s how i just cleaned permanent marker off my husbands new LCD flat screen t.v. Your going to need to get a microfiber cloth. If you don’t have a microfiber cloth, you can use any kind of soft cloth to use instead. Microfiber is highly recommended though, so you don’t scratch the screen on your TV or computer screen. In small circles wipe the screen with the toothpaste on it to remove it. As soon as it’s removed use a clean part of the cloth to continue wiping off the toothpaste from the screen. Next spray down the screen with an electronics surface cleaner. Make sure it’s safe for your screen an monitor. I like your blog’s graphic design – is it custom made, or some public template? Where can I download it from? Thank you so much! My 18 month old was running around with a sharpie yesterday. The cap was on, thank goodness, but I know I’ll be needing this post in the near future! baby oil will also remove permanent marker from skin. Nice tips! The pictures made me anxious enough to almost spin into panic mode for you! Baby wipes will also remove permanent marker from skin (but not from walls). oh, and it’s an AMWAY product, so you can get it from an AMWAY distributor. My son used red sharpie on our dishwasher and I too googled solutions. After trying EVERYTHING, the ONLY thing that removed it was OFF Skintastic Spray. Yes, bug repellant! crazy but it worked! My daughter had the same mission with a permanent marker in my kitchen,my bedroom and her bedroom. I used the Magic Eraser for the majority of the clean up but I could not for the love of me get the marker off of my brand new refrigerator. So I called my brother who works with children at a private daycare and he suggested spray suntain lotion. I had a can left from the summer and was desperate so I sprayed it on the mark and it wiped away completely. Spray suntan lotion is definitely stocked in my house. Any thoughts on getting Sharpie off a porous stone fireplace hearth? I’ve scrubbed with Acetone, but you can still see the red marker & there is a noticeable lighter shade of grey where I scrubbed with a brush. Oh no, did you try hand sanitizer? That seems to be the cure-all. What about the inside of a garage door? (The actual garage door.) Just walked out into the garage and my 3 year old son was hiding in the corner because he knew he had done something naughty. Tried Protek, bleach, hand sanitizer, and hairspray, and still looking for the cure. A friend that teaches first grade had students that used permanent markers on her white board easel during indoor recess. I suggested hair spray to remove it when the white board cleaner wouldn’t work. It did work. It saved her having a “PINK” white board. I used glass cook top cleaner to remove permenant marker from my corian counters. How about permenant marker out of my microfiber furniture? As many markers that i have thrown away my 3 year old daughter always seems to find one! She drew all over my furniture and walls! So frusterated till i found this! My daughter got a hold of one of these vile markers and drew all over our vinyl climbing blocks. I have tried everything I can think of including hairspray, rubbing alcohol, nail polish remover, baking soda and a magic eraser. Do you or anyone have any other suggestions or ideas? A few people said hand sanitizer works great, even on clothing, maybe that would work? Good luck! Unfortunately my son had done the same thing…on everything. Walls, furniture, cabinets, doors, floors, and toys. I did try the hairsprat and it didn’t work to well. I can’t remember what website I got the “magic cleaner” from….but it is baking soda and water. Make a paste out of both ingredients. Does wonders!!!! I’ll be pinning this for future reference! Any chance anyone knows how to get permanent marker out of a leather couch? Sounds like we have the same life. My son too has permanent maker radar and I can’t remember the last time I took a shower by myself. Just yesterday they got ahold of my makeup bag when I thought they were playing alone quietly… things did not end well. Brake Cleaner works to remove sharpie from clothing. Spray once, launder, repeat if needed. Scrub treated area with Dawn dish soap, launder again. Fingernail polish remover works great for removing permanent marker from non-porous surfaces too! A mark of marker is pretty hard to remove good thing I found this post. I’ll bookmarked it now. does anyone know how to get nail polish off a blanket my child and her little friend got nail polish all over my daughters baby blanket (im more upset than my daughter about it) but shes had it since our first mothers day together and i want to be able to salvage it!! PLEASE help!! Oh no, i think paint thinner is supposed to work but not sure what that would do to the blanket. My son LOVES sharpies and seems to have them hidden all over the house. 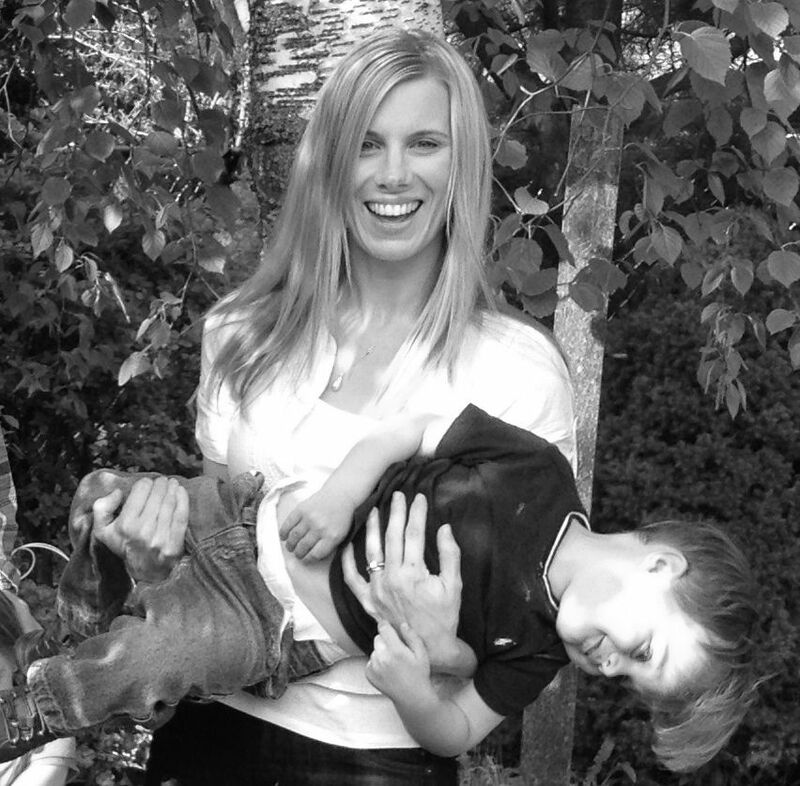 When he went to town on our tan leather sofa, I tried everything I knew of and heard about. The only thing that worked was undiluted Tea Tree Oil. I have since used that on hard surfaces as well. It gets up about 95% of the marker, and the rest fades away on its own. Tell me how to get it off the red brick around our fireplace? Yeah, I didn’t think so? I have heard it said, “there is a special place in hell for people who paint brick”, but it may just come to that. Thats Awesome… good tips to know because I love Sharpies….and every now and a then I find that they have gone missing from my art drawer. ps. toothpaste also removes ground in lipstick from leather/vinyl couches, kids and mummies make-up sigh. Oh no, you must have been so upset! What a wonderful gift to his future wife… just to let her know what she is getting into ;). So good to know, I also heard hand sanitizer works well. Thanks for stopping by! Method Le Scrub got sharpie off my bathroom linoleum. I woke up to find a purple flowered path from the bathroom door to the toilet. Oh my gosh, that is so funny, yet so not, when it is your own house. Good to know about Le Scrub, have never tried it. Just so you all know…. Permanent marker does not come out of yoga mats. I tried everything, with no luck. Gaiam says that it doesn’t come out as well..
Oh that stinks, it must absorb right into the mat. A lot of people said hand sanitizer will remove it from anything, worth a try?? Do you know how to get it off of hard plastic? Have you tried hand sanitizer? Or drawing over it with a white board marker and then wiping off? Oh good luck, I hope this works, there are so many comments with great solutions too. I see sharpies everywhere I go and I just shiver at the thought… thanks for the info! Thanks Jan, I’ll try this one also! Wow, what a great idea, never would have thought of that. So glad it worked for you! Jessica, I agree on the toothpaste, but I found out that if you use Arm & Hammer Toothpaste that contains baking soda it removes it off of everything and won’t damage the carpet either. I tried it on a year old red soda stain on carpet and it vanished. Brilliant, the next time there’s a pen disaster in my house I am prepared. Someone commented that hand sanitizer is great for removing pen too. My grandson covered his face in red permanent marker after watching a spiderman movie. I contacted the sharpie company and they said rubbing alcohol will take it off. It worked really well. No scrubbing and no sore skin. I’ve found Windex and Magic Erasers take permanent marker off any surface! These are great tips! Can you tell me how to get permanent marker out of clothes? Thanks!! Hand sanitizer! It is supposed to work great. Let me know how it turns out. Dry erase marker will take permanent marker off of any non-porous surface! It’s easy too! I let my daughter use sharpie to practice letters on a dry erase board and we use dry erase marker to remove it and start again. My 10 yr-old Daughter loves using sharpies on her mirrors…she changes her sentiments often and loves this trick! You can also remove permanent marker from your skin using baby wipes. My children were competitive swimmers growing up and always wrote their events on their arms or legs…cleaned up easily with baby wipes! Hair spray and magic erasers have worked for me every single time with lightening speed. My toilet seat lid was covered in some permanent marker art courtesy of my three year old and I removed it with baking soda in 4 seconds. Will have to try baking soda if there is a next time (although I\’m hoping there isn\’t). Thanks! When I was little, I drew on the wall and then said, “WALL, MOMMY! WALL!” They didn’t even have to guess who it was. Luckily though, it was pencil. I’m sure we drew on the walls though; I know we at least fingerpainted the kitchen once. Best tip I’ve learned in a long time. Removing rust from metal with tin foil and a little warm water. Fold over tin foil so no rough edges are showing, dampen with a little water and rub back and forth. I’ve done a vintage tin, shower head and bike fender this way, it’s magic! I work with a special needs child and because he is visually impaired we often use permanent markers so he can see what we are writing. More than once he has accidently written on my clothes. Hand sanitizer will take it out. Pour it on and rub with your thumb nail. It does take some work, but it’s worth it to save your clothes. Wish I had seen this a few days ago before throwing out all my Son’s uniform shorts. I had tried every stain remover I could think of it didn’t even LIGHTEN. OMG! You have one very artistically inclined son 🙂 And he does seem to have a penchant for being unbiased to his choice of canvas!! 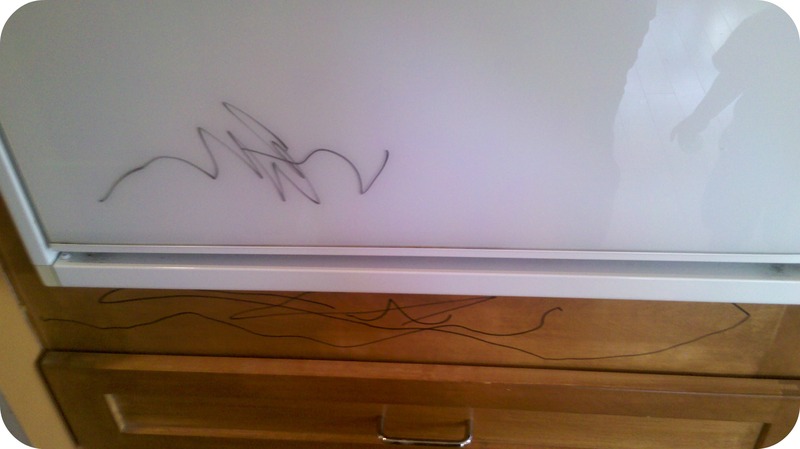 To remove permanent marker from laminated surfaces, trace over the marks with a washable marker, then simply rub off. Great idea for teachers! That is a great idea, thanks Sarah! Does anyone know how to remove lots of black mascara from white wallpaper? When my daughter was 2 we had a “Sharpie Massacre” she was supposed to be asleep so I didn’t think anything of how quiet it was. I went to my room and there she was with a red sharpie…not sure where it came from! My walls, bed spread, sheets, pillowcases, headboard everything was red she even did her finger and toe nails and lipstick! I got it off the headboard with the magic eraser, and for the beding WD-40 just srayed it and threw it into the wash and not a sopt on it when all was done. I didn’t have time to research the non-toxic methods so I also used WD-40 on a rag to get it off my daughter of course after that she took a 45 min bath to make sure everything was off but when she went to school the next morning no one could even tell! I’m a teacher and came across this…. Perm. Marker on a white board or student desk or any slick surface similar to it can be effortlessly taken off with dry erase marker. Just color over the mArked area with the dry erase marker and Tadaaa it’s clean. Who says kids can’t teach their teacher something! Thanks so much. 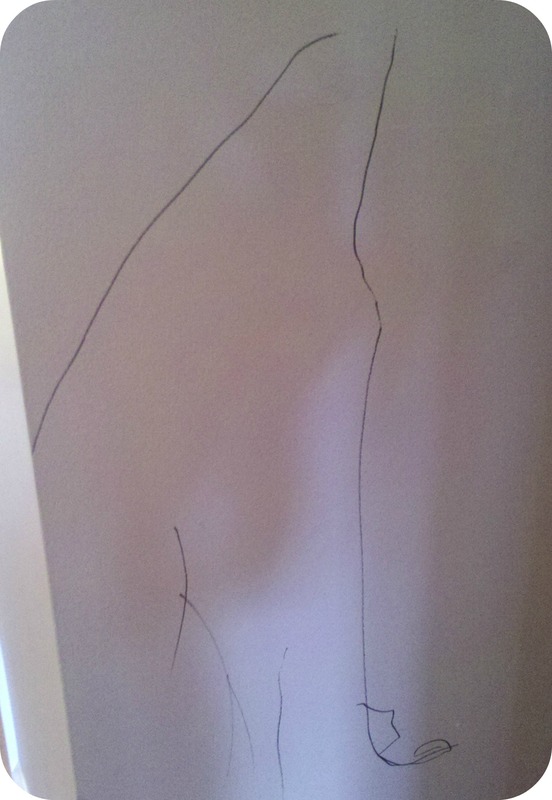 Leave a two year old alone for a second and oye… I thought for sure the markers were out of reach but when I got to her she proudly showed me her latest piece of artwork, on the wall, in the hallway! The hairspray+the magic eraser worked like a charm, I thought for sure I was going to have to paint this weekend! hey, great ideas! forgive me if this is doubled with someone else’s but there are soooo many comments, I don’t have the time to check them all. LOC (Liquid Organic Cleaner) is also GREAT in getting Sharpie off of kids and furniture and is not toxic. It also won’t harm painted walls. (it is an oil based soap, so carpets don’t work as well). It did wonders when my daughter painted her body in war paint last year (Rust colored rustoleum). oh, and it’s an AMWAY product, so you can get it from an AMWAY distributor. I have never heard of it but now MUST by it. Thanks for the tip. One of these days our kids will grow out of this phase, right? My little neighbor took a sharpie and colored my grand piano up and down the keys. We inherited this piano from my mother in law. I tried motsenbockers graffiti eraser and it took it right off. I didn’t even tell my husband. Wow thanks for the idea, have never even heard of that. YOU good lady are a God send. Seriously. You’re the bomb!!!!!! Well thank you, hope it all works for you! We recently had an incident at college where they got it on the new tables, the student colored over the permanent marker with dry erase marker and right away wiped it away with an eraser, it all came up really easy. It was sort of amazing! You can’t let the dry erase marker dry before you wipe it though, it has to be wet still. So color over a small part and then erase it away. How would you go about getting it out of micro suede couches? Hairspray. My son had Sharpie drawings on our new hardwood floors and I sprayed the marks with hairspray and they wiped right off. Tea tree oil removed it for me from 1) child, 2) tv screen, 3) formica countertop, 4) white carpet, 5) real wood coffee table, and 6) fake wood paneled door. “Pink solution” from Canada has gotten Sharpie out of carpet. It took most of the Sharpie out of my dd’s white hoody, but I’m going for sunscreen and vinegar next. Of course, stretching the stain over a coffee mug (to catch the water) and then pouring scalding water through might remove some as well. Another hint on removing permanent marker on many surfaces is to use a wipe off marker. Simply cover the permanent with the wipe off marker and wipe off. I have used this method on wood, fridge, wipeoff board and even my nintendo DS. Thanks for the other tips, with a whole new generation of grandkids exploring with markers it is very good to know. Thank you. I learned the hard way this summer that permanent marker on fabric (in my case an acrylic blanket) can be gotten out with hand sanitizer continually blotted on it and dabbed off with paper towels. My dachshund had found one to chew on one morning before I woke up…but as I’m due any day now with our first I guess the lesson might come in handy some day! I am sooooo glad I found this! My girls “colored” with a sharpie all over my blinds and walls. I didn’t have a clue how to get it off…now I do. So relieved. Thank you! Someone else commented that writing over the sharpie with a dry erase marker and then wiping it off worked well too. Good luck!! Good luck getting everything. Mine just turned four and haven\’t grown out of this phase yet! A pencil eraser took Sharpie off of my flat panel monitor (after I had a heart attack!). It works on many hard surfaces–just “erase” over the mark until gone. Baby wipes will also remove permanent marker from skin (but not from walls). I have kids that are 10.5 years apart and both of them have managed to draw on their face (and walls and floors) with permanent marker. I haven\’t heard that one until today. Even though I am hoping there isn\’t a \”next time\” I will have to try it if there is one. Sunscreen works great! I would just caution you to not use it on any finished surface. Have you ever noticed how it takes the shine off your nail polish after applying? It will do the same thing to anything plastic, wood, etc. Thanks for the tip, hadn\’t heard that before. Actually, both of my boys are on swim team and we have to write on their arms with permanent marker for the swim meets. We use spray Coppertone to take it off! That is a great tip. I had heard that before too about a dry erase board but never thought of it working on wood too. Any suggestions for removing permanent marker from clothing? I wish! I have had a terrible time getting it out of clothing. Someone shared this on facebook a few weeks ago. My 20 month old got a hold of a permanent marker and colored the carpet and kitchen cabinet. And my 3 year old colored the bathroom countertop! Thanks for sharing these tips. They really came in handy! Oh good, I\’m so glad that you could use them although sorry that you need to. What is it with kid and markers?? I was looking for how to remove permanent marker from carpet, but that really made me laugh. Thanks. The vinegar does work great for carpets, nice to find something that gets it out completely! That is a remarkable solution. What was your reaction when you saw it all over him? I was shocked and showed him in the mirror, saying \”look what you did!\” he smiled and said \”now I\’m a tiger.\” So he wasn\’t remotely concerned. We were actually heading out the door so I had to take him on a playdate that way. I think everyone at the park was scared. This post couldn’t have come at a better time! Thanks so much for sharing! Hopefully you don\’t have to use too many of my suggestions! I just bookmarked this because although we haven’t had an “incident” yet, I know it’s only a matter of time! BTW, I have zero tips to share on removing anything, although I did discover Goo Gone many years ago and it’s a go-to for removing sticky stickers/price tags from just about everything. We did good for a little while and then right around age 3 he started coloring on everything in sight. This is perfect for me! With two boys I know this is bound to happen soon! I swear my son can find a marker anywhere. I hope yours leave them alone! Oh my goodness! I definitely need to bookmark this post! My daughter colors on EVERYTHING, ALL THE TIME! She hasn’t used a permanent marker yet, but she has used crayons, pencils, pens and markers, so I’m sure something like a permanent marker isn’t far behind. I have blogged so many times about the stuff she’s colored on, including todays post. lol I guess all kids do some of the same naughty stuff. My one tip for stain removal is to have microfiber furniture. So far everything wipes right off of it, including black pen! Oh that is good to know and I\’m sorry this happens to you too but I\’m glad it\’s not just me. I’m also impressed by how much effort it must have required to get it all out. Good for you! But dayum–that sounds like a lot of work! Love it. I have a crayon bandit. Thank goodness he hasn’t made the tranisition to “harder” stuff. I do try to keep my Sharpie stash well hidden. This is a post to save, good field tested info. I\’m glad I could be the guinea pig for everyone else. I think ;). My sister’s kids colored on the walls of my house a couple years ago. They then continued to color themselves. I don’t remember what I used to get it off the walls and the kids but it worked. Thank you for sharing the tips! Top two…Mr Clean’s Eraser rocks and tea tree oil. I will admit, I giggled seeing the tiger eyebrows, my little artist here, has done the same thing. Except she didn’t do it with PERMANENT MARKER! Ack Mama! 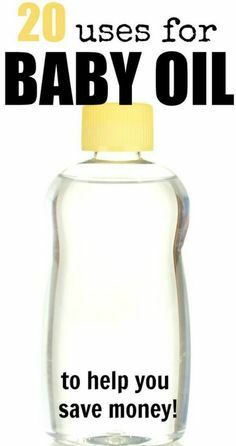 I hadn\’t heard of using tea tree oil until this but it worked great. Oh I would have freaked! Glad you could get it all out. I like that you’re looking on the bright side! Thanks for the tips… I’ll have to keep these handy for when Lovebug reaches that stage if I forget to put up the markers! Maybe yours will skip this stage. Okay, now that’s a fabulous vault of knowledge. The next time I accidentally draw all over something, I’ll come right to you! If you have tiger eyebrows in your next blog post I will know exactly where you got them from (and I will ship you some tea tree oil). My kiddo got ahold of permanent marker in my MIL’s house last summer (her fault…) and drew all over her white cabinets and stove. After I got over laughing at him, the toothpaste and magic eraser did most of the work. This is one of those laugh-so-you-don\’t-cry messes. The best part is he did it right as we were heading out the door so I had to take him somewhere looking like a tiger. Also Tea Tree oil is the great thing ever – it also repels lice! Tiger eyebrows? I’m in love. Nice work! I just did a Magic Eraser assault on our house to get all kinds of things off the walls. Carpets are next – thanks for the tip! I’ll give vinegar a try. The vinegar worked instantly, just soak it really well then throw a towel over it and step on the towel, it lifts the marker right out (but smells!). Sadly enough, vinegar did not work for us and the realator is showing the house in 2 days. Oh no! But now you are an expert at this and a real product tester! well good to know for sure. I wonder if some of these would work on nail polish, as child #2 decided to decorate the carpet and walls with that the other day. once when I was still running an at-home art business, that same #2 child took a Sharpie and scribbled all over a completed custom painting. I hate permanent markers! Oh my gosh, a custom painting? That is awful. I bet the alcohol would work on the nail polish, or hair spray. Awesome tips! I usually use the magic marker, when an “accident” occurs. lol I use tea tree oil in my daughter hair once a week as well. It’s an old wives tail that it keeps lice away from a childs head. It has worked so far!! Classic. Oh my gosh that look on his face. So funny. He makes an awesome tiger. 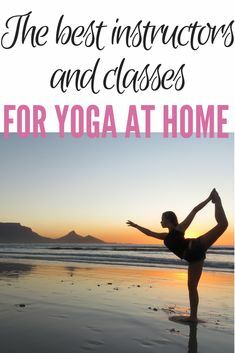 I need to pin this because I know it’s only a matter of time before I need these tips. At what age do boys stop getting into things? I don\’t know, mine is almost 4 and I\’m still waiting. He just can\’t seem to stay out of trouble. I will need to reference this post one day. I just know it. I should probably bookmark this! Great tips. I need to send this to my mom as a joke, too, since I drew a smiley face with marker on my wall growing up! It may not smell like it, but white vinegar really is the nectar of the gods!! Yep, even though it smells like feet it works great. Congrats on not totally losing your mind! The pictures made me anxious enough to almost spin into panic mode for you! Also, great tutorial…will definitely keep those tips in mind. Although not for the reason of permanent marker, I was just thinking the other day that I needed to get a Magic Eraser to clean off scuffs and stuff from our doors. Thanks so much for linking up to #iPPP! The white vinegar actually removed it really quickly from the carpet but it SMELLS. I’ve bookmarked this one! I’m sure I’ll need it at some point!! Good for you for taking the horrible and making us smile about it! Oh my! How do kids find these things? Glad everything came out. Usually when I get a stain like this, I sell the house at a loss and buy another one. So far, it’s worked out well. Best cleaning tip I have ever heard. My girls took blue and blank ink pens to their white wooden headboards on their beds…. Magic Eraser has helped minimally. Should I try hairspray?? ACK! You know what works great? Any kind of laundry stain remover. I found marker on a white dresser yesterday and sprayed it with Spray and Wash and it worked better than anything else. I have no tips my child hasn’t hit this stage yet but when she does I know where to go! Oh my! I will remember these tips for sure. Hasn’t happened here yet, but it’s probably just a matter of time. Try a product called Googone. It takes crayons of in a snap, might work for wax too. Just spray or wipe on and wipe off. I’m keeping this. Something tells me with my “curious” boys, I’ll need it in the future! i’m pinning this but i really really hope i don’t have to use this. Glad I could be the guinea pig, I think. Awesome tips, I definitely need to use some of them!! Thanks Jessica. Husband got a good laugh out of this one. I on the other hand know we may need these tips one day. Tip to get nail polish out of white carpet: DO NOT USE nailpolish remover. Go straight for warm water, bleach and dish soap in a spray bottle. Thank God he’s so cute, ya gotta love Parker! I’m afraid I will have to pin these b/c Donut will probably get into this someday. But on that note, perhaps the permanent markers should go in the trash, lol! Oh we thought they were all gone but he found one, of course. Where has this post been all my life? Yep, I showed him in the mirror and said \”look at your face!\” He, of course, smiled and said, now I look like a tiger. To remove perment marker from a child skin is easy with whitening tootpaste. Smear the toothpaste on so that you cover the spot completely, wait a couple of minutes and wipe off with a warm very wet rag. I have never had to do more than two applications. I am comfortable using this on small children. They think it is funny. Ha ha. I love it. Dustyn took a crayon and drew along his whole train tracks. Know how to get crayon off wood? Try tea tree oil, I’m amazed how well it get things out of wood. To remove crayon from almost any hard surface use a product called Googone. you can buy it almost everywhere. It is mostly orange oil. works on painted surfaces too; just spray it on or put it on you rag and it wipes right off no scrubbing required. I had a home-daycare for years. One day after a budding artist put a “mural” on my wall my daughter age 6 at the time said, “Mommy just erase it” and it worked!! After that, art work was removed by a simple pencil eraser! Works on walls and on wood. haha! I’m going to save this list. Something tells me I’m going to need it. Hee! Genius and seriously go you! I’m so impressed at how hard you worked to remove it all!! On a smooth shiny, surface color over permanent marker with a dry erase marker. It works like magic. Along the same line as this – the spray cleaner used to clean dry erase marker boards got the permanent marker off my cherry dresser without ruining the finish. Really? So good to know! Thank you for the tip! My son actually got dry erase marker on his jeans and I used the spray cleaner after reading your comment and it came out!